I know the interchange may seem silly to you and my response flippant, but it was a real conversation I had with my mom years ago. Sure, I prayed, but I didn’t see myself as an intercessor or a powerful prayer warrior. But God wanted to change my attitude, my heart and my prayer life. He wanted me to learn about effective and powerful prayers. The prayer of a righteous person is powerful and effective (James 5:16b NIV). Prayer in simple terms is communication with God. It is communing with Him in the context of relationship. It doesn’t have to be complicated or difficult, it’s a conversation. Sometimes in our conversations with God, our prayers can become passionate and intense for a powerful purpose. We see such a story in the book of Acts 12:1-18, when the early church is motivated to prayer intensely. Peter finds himself in prison after James had been killed awaiting execution by Herod. The early church is concerned about losing Peter too, so they take to their knees in earnest prayer. So Peter was kept in prison, but earnest prayer for him was made to God by the church. Now when Herod was about to bring him out, on that very night, Peter was sleeping between two soldiers, bound with two chains, and sentries before the door were guarding the prison. And behold, an angel of the Lord stood next to him, and a light shone in the cell. He struck Peter on the side and woke him, saying, “Get up quickly.” And the chains fell off his hands. And the angel said to him, “Dress yourself and put on your sandals.” And he did so. And he said to him, “Wrap your cloak around you and follow me.” And he went out and followed him. He did not know that what was being done by the angel was real, but thought he was seeing a vision. When they had passed the first and the second guard, they came to the iron gate leading into the city. It opened for them of its own accord, and they went out and went along one street, and immediately the angel left him. When Peter came to himself, he said, “Now I am sure that the Lord has sent his angel and rescued me from the hand of Herod and from all that the Jewish people were expecting” (Acts 12:5-16 NIV). Scripture tells us this prayer for Peter was intense, it was fervent, and it was passionate. 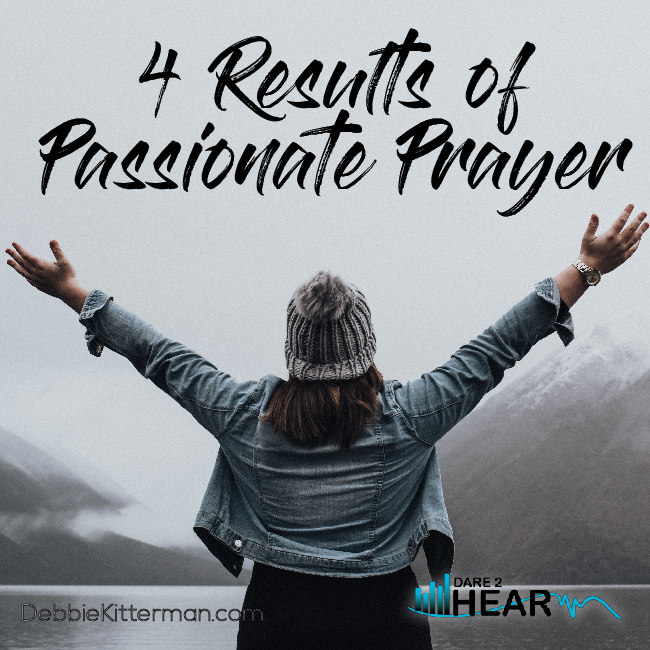 It also shows four results we can expect when we pray fervently. Passionate prayer can bring light into the darkest situations. Passionate #prayer brings light into the darkest situations. “A light shone in the prison… and he said, Arise quickly!” (v.7). We must not forget just how powerful prayer is. Ephesians 6 tells us we do not fight against flesh and blood. 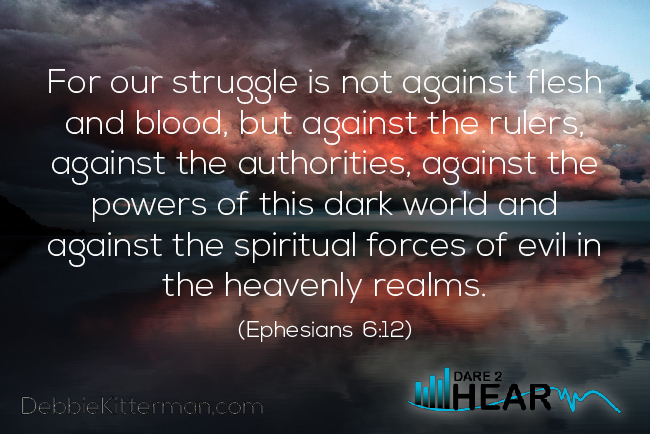 Our prayers are fighting against spiritual forces that linger in dark places. Prayer is our tool to win the battle. Prayer gives us the strength and the faith to finish the race victorious. Prayer is so powerful it has the power to defeat the devil and his power over us. He wants to destroy us, but God wants to bring us closer to Him as we pray. Passionate prayer can set us and others free from bondages, worries and fears. The early Church had a problem there was no natural solution to, so they prayed for a miracle. The miracle of Peter’s deliverance. Passionate prayer can set us and others free from bondages, worries and fears. “Peter was bound with two chains between two soldiers… And his chains fell off his hands.” (v.7). Passionate prayer can bring breakthrough and give us wisdom and direction for our life when the enemy is closing in. “The angel said, “Follow me.” So he went out and followed him.” (v.8). The Church’s intercession and prayer was the catalyst for Peter being set free. God is calling us to passionate intercession as well, for a world that is lost and hopeless. We have loved ones that need breakthrough and deliverance and God is calling us to intercede and stand in the gap for them. Many miracles happened throughout this account in Acts 12. In Matthew 21:21-22. Jesus said, “If you believe, you will receive whatever you ask for in prayer.” As the Church prayed, Peter was removed from the prison. As we pray, others can be set free from their bondages as well. Passionate prayer brings results even when we sometimes doubt. #Prayer builds our #Faith to have great expectations! When the HS gives us insight as we prayer, it not only builds our faith, but it also gives us an authoritative edge to prayers. We can make bold proclamations and declarations because of the revelation we receive through our prayers. 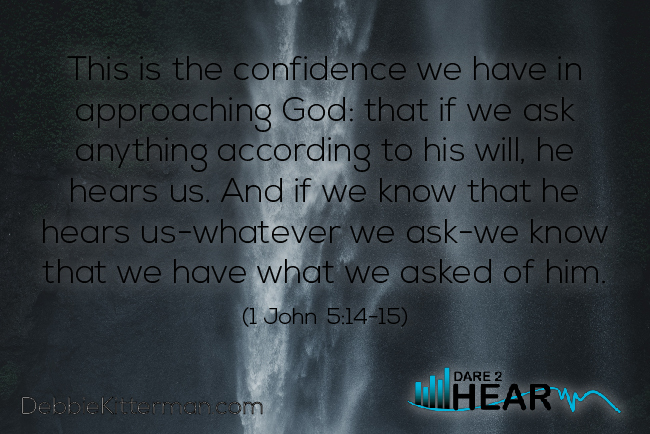 This is the confidence we have in approaching God: that if we ask anything according to his will, he hears us. And if we know that he hears us-whatever we ask-we know that we have what we asked of him (1 John 5:14-15). The early church was a church that believed and understood the power of prayer. They showed us what’s possible when we pray. God has been doing a work in my heart lately about prayer, and I’m finding that instead of focusing on what I “get” out of prayer, the real treasure of prayer is “getting” God. Thanks for encouragement on this road. Thanks for leading by example, Debbie. You certainly are a passionate prayer warrior! A good reminder for me not to neglect praying. It’s easier for me to study than pray, but I think I need to flip those two around. Heading to the NW!!! Blessings on you, friend. 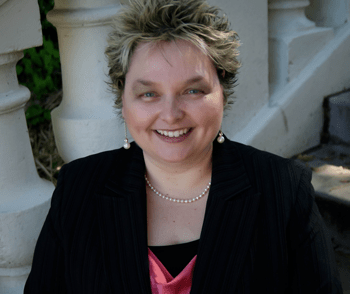 sue Prayers appreciated – passionate ones! Thanks. Safe travels and enjoy your time up north. May it be a fruitful and powerful time of ministry. you are most welcome Marilyn – always a pleasure to have you join me here each week! Amen and amen, Debbie. You are four for four with the results you mentioned about prayer. I am not sure which I like best, but they can take place when we pray passionately with purpose. There is power in prayer. Thank you for sharing this post. I will be sharing myself. I hope you had a wonderful Thanksgiving. Have a fantastic weekend and may God continue to bless you and yours this Christmas season. Thank you Horace! 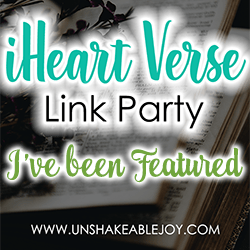 It is so good to have you stop by and I so appreciate your sharing my post. I am grateful at the power in prayer – I don’t know where I would be at today, if I didn’t have prayer. I did have a great Thanksgiving and I am working to get my Christmas on and looking forward to a blessed Christmas season. I pray the same for you and yours. How cool that your mom saw the gift in you and encouraged you to press in! Debbie, prayer is challenging work. But it brings a great reward. I love to have a prayer partner. That has been a big help to me through the years. Debbie, I so agree, it is a challenge but the reward is so worth it. I like that you have a prayer partner, I can see how that would help you both. April, you are so welcome. Prayer is very important for all believers to create a habit of going to God in prayer. Such a good word! And THANK YOU for the copy of your book! You are most welcome Elizabeth! I am so glad to hear the book arrived. and Thank you for stopping by to comment and read this weeks post. Such a beautiful post. Thanks for sharing it. Thanks for hosting and I hope that you have a wonderful week. thank you Patrick! It’s always a joy to have you here. Oh this was wonderful. Prayer can be a hard thing for some. Well maybe uncomfortable is a better word. But our Father longs to have us talk with Him. I think He also longs to answer our prayers. Just as we long to answer the requests of our own children. Thank you for this reminder! Thank you Amy! I agree – prayer can be uncomfortable at times and then at other times its all we really have to hold onto. I love the analogy of how God wants to answer us as much as we want to answer our kids. It always helps me to know just how much more God loves me, and I love my kids A LOT! I wonder how many prayers your mom, the intercessor, sent up to the Lord for you? It’s beautiful to think about. Not only as our prayers having power and the God of the universe listening to us, but also our intercession for our children. Beautiful! Oh Jessica, it’s hard to really say, but let me just say, I had my mom on her knees A LOT! Hahaha – I was one of those kids – I know best, I will do it my way, don’t tell me what to do. Thank you Jesus that He got a hold of my heart and changed me, my behavior and my attitude. I love how you saw and articulated these four results of prayer from this verse! “Light in the darkness” . . . such a powerful image. Something I’ve been praying for my region for a while. Thank you for the wisdom and encouragement! Thank you, Amanda! Yes, being a light in the darkness is such a powerful image isn’t it? Even the smallest amount of light chases the darkness away. You are most welcome for the encouragement.